Blog post inspired by: Pinterest and the excitement of hopefully having a new flat in the next year! Everyone who knows me knows that I'm obsessed with monochrome. Pretty much all my clothes are either black, white or grey; they're my safe colours and they pretty much go with everything. I sometimes like to switch it up however and add in some pattern or a pop of colour, though they are normally pretty neutral like brown or navy, nothing crazy! So in my dream flat I'd love to keep up the theme of black, white and grey with an added pop of a dove grey, mint green or light blue through out and perhaps even a pastel pink at some point. I want the canvas to be very relaxing and pleasing and mean that the furniture and things that I put in the room will be the pieces that do the talking. I am obsessed with fairy lights. 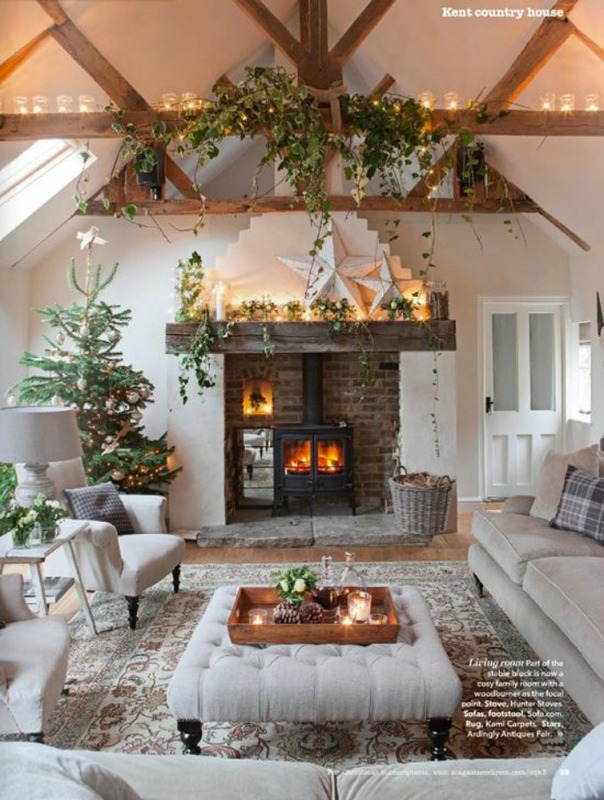 I've been pinning interesting and pretty ways to incorporate fairy lights into my flat the whole year round and to ensure they don't look too Christmassy as in my opinion fairy lights even have their place in July! 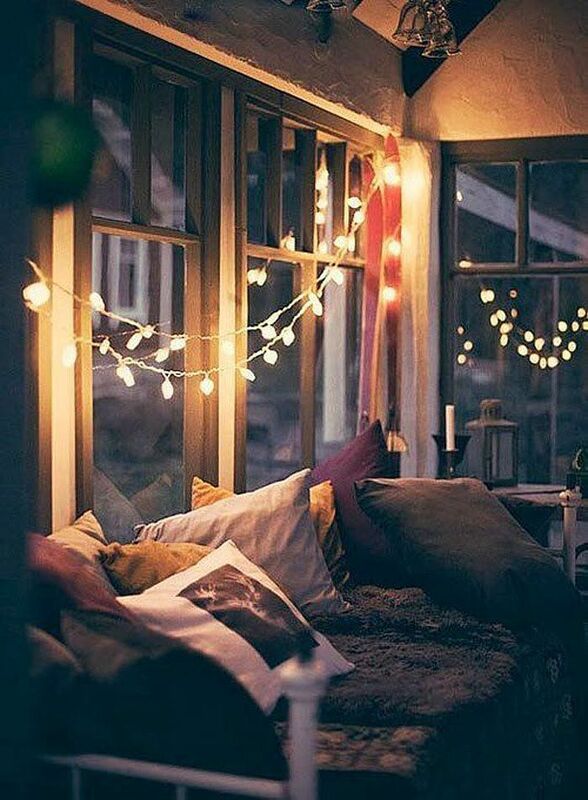 Nothing quite beats the soft relaxing glow you get when you only have fairy lights on in a room. 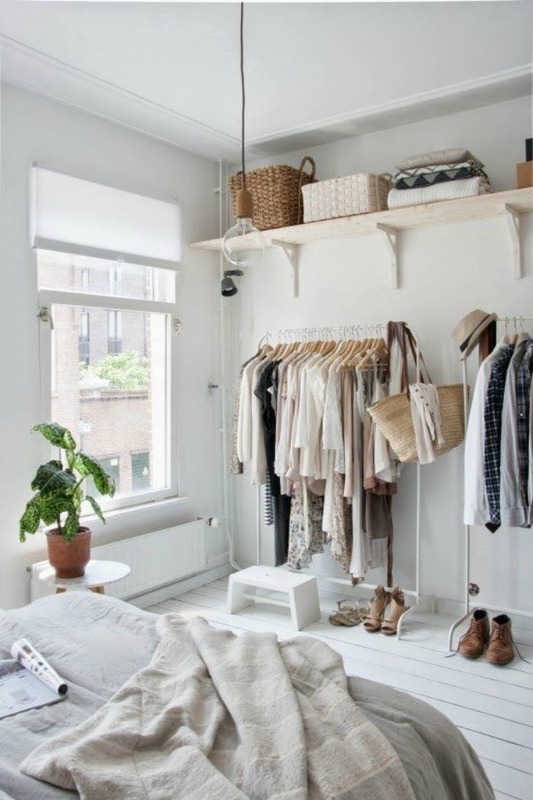 I'd also love to be able to have a sort of rustic looking rail in the corner of my room so that I can easily pull together an outfit and in one glance see all the items I have. I'd probably also be a little bit mad and arrange it all by colour scheme or item type... I already find it so hard to put together outfits I'm happy with so I think this would speed up my day as well as adding a unique touch to the room. I think the perfect accompaniment to the colour scheme I've chosen would be some wooden focal points to the room such as some exposed beams or some sanded down wooden flooring. I'd also love some rustic wooden coat hooks. There's nothing I love more than making my room cosy and comfortable and making it my little nest. I love layering in my clothes styling and I also love layering when it comes to bedding. I always think it looks so nice to have a patterned duvet with plain cushions and a plain throw, then perhaps even another pattern on top of that. Cushions, throws and bedding really make a place feel homely; a tip that I learnt after having to hide numerous ugly pieces of ancient mismatched furniture in university accommodation!! These are just some of the aspects I want to bring to my future flat in the coming year or so (if I'm lucky) but you get the idea! I honestly just can't wait to have a place of my own to work on and decorate. Would you say I'm getting old? I would. P.s. 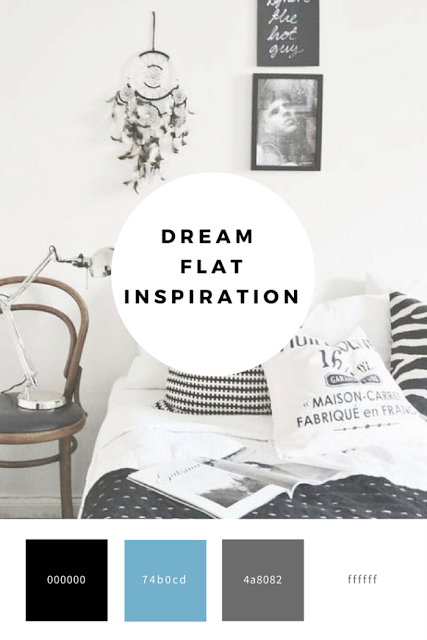 If you fancy seeing the rest of my flat inspiration board you can find & follow me on Pinterest here! What would you like your future home to look like?